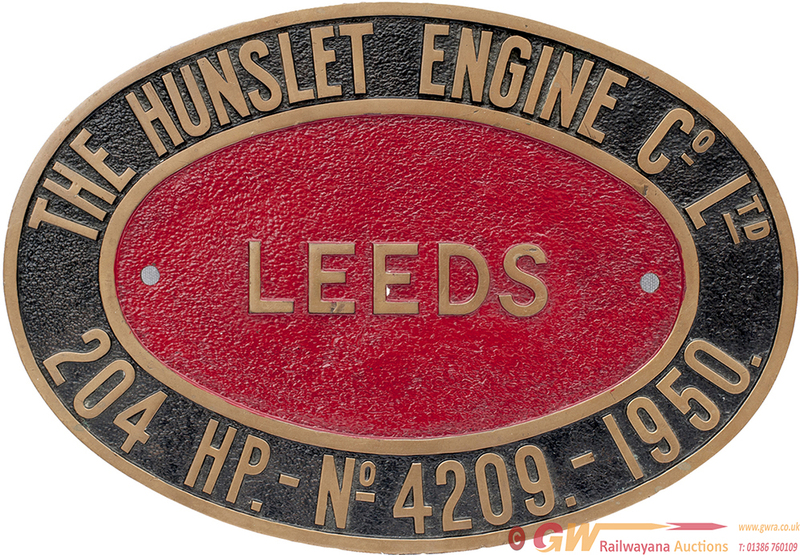 Diesel oval cast brass worksplate THE HUNSLET ENGINE CO LTD LEEDS 204 HP-No4209-1950, ex 0-6-0 DM Serial No LD4209, supplied to John Summers, Shotton, Chester. Face restored and rear ex loco. Hunslet letter and photo accompanies lot.